The Indian constitution was adopted on November 26, 1949. It is the longest written constitution in the World. It is both rigid and flexible at the same time. January 26th 1950 was the date chosen for the official commencement of the constitution due to its historical importance. As long as it took to frame our constitution, the members of the constituent assemble knew and foresaw that as time changes, the needs of the public will also change and with that, there will be a need to change the provisions written in the constitution. That’s why, they provided a provision to make changes in the constitution as need be. The procedure to amend the constitution is clearly stated. It is neither as difficult as the Constitution of the United States of America, nor as easy as Britain’s. 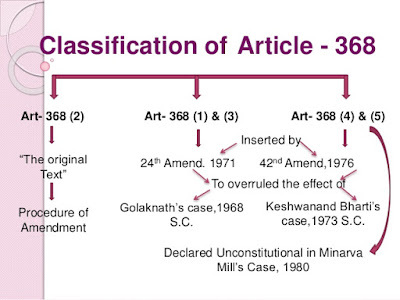 Article 368 of the constitution, talks about the powers of the parliament to amend the constitution and also the procedure that is to be followed. The parliament can use its power to amend or change the constitution by adding, changing, or deleting a provision by following the correct procedure. 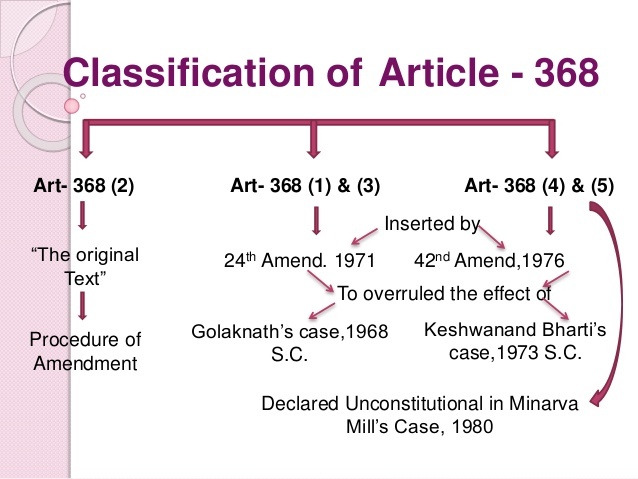 However, the parliament cannot change or amend the basic structure of the constitution (as ruled by the Supreme Court in the Kesavananda Bharti case in 1973). An amendment can be initiated by introducing it as a bill in either the lok sabha or the rajya sabha. It can’t be introduced in a state legislature. It can be introduced by either a member of the house, or a private member. It is not necessary to seek the permission of the president to introduce such bill. Once the bill is introduced, after proper discussions, it must pass in both the houses by a special majority. Special majority means that it should be approved by 50 percent of the total strength of the house and also, 2/3rd of the members present in the house who have participated in the voting. Each house must pass the bill separately. There is no provision in the constitution about a joint session of both the houses for deliberation and discussion in case a disagreement arises between the two. If the bill is regarding an amendment which concerns the federal provision of the constitution, then it must also get the consent of the at least 50% of the states where the bill must pass with a simple majority, meaning, majority of the members present in the assembly and voting. Once the bill is passed in both the houses and received the consent of the states whenever required, the bill is to be sent to the president for his assent. The president must give his assent to the bill as he can neither withhold it nor return the bill for reconsideration. Once the bill receives the assent of the president, it becomes an act or amendment. c. Changes in boundary areas and names of existing states. d. Dissolution or creation of state legislatures. e. Provisions of the second schedule like enrollments, allowances, privileges etc. of the president, governors, speakers etc. f. The number of members present in the house for its proceedings to begin. g. Salary and allowances of the members of the parliament. h. The rules of the parliament. i. The extent of use of English language in parliament. j. Rules related to the acquiring and termination of citizenship. k. Issues related to union territories. l. Issues related to fifth and 6th schedule. When a bill is introduced for the amendment of the constitution, it is discussed and deliberated upon at length. The bill is read multiple times at different stages. Technically, its only mandatory for a special majority to be available at the third stage, but to be thorough, it’s in the house rules for a majority to be present at every reading. a. Bills regarding to Fundamental rights. 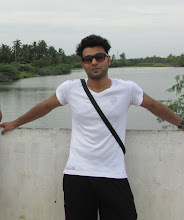 c. All the provisions which do not come under simple and special majority. In such provisions, along with a special majority in the houses of the parliament, the consent of 50 percent of the states is also required. a. The process of the election of the president. b. The limits of the executive powers of the union territories and the states. c. Provisions related to the Supreme Court and High Court. d. Rules regarding the representation of the states in parliament. e. The powers of the parliament to amend the Article 368 itself which deals with changing the procedure of amendments. f. Provisions that come under the 7th schedule. The Constitution of India has been amended 122 times. The most recent was in 2014 in which goods and services tax or the GST was introduced in the constitution. In conclusion, the process of amending our constitution is pretty straight forward and might even seem simple. But the makers made sure that it is such, that this power cannot be used to dissolve the basic purpose and soul of the constitution. At the same time, they foresaw the need of the future generations and made the constitution amendable such that when the time comes where a change is needed, our country is not faced with the dilemma of either rewriting the whole constitution or keep following an outdated form of laws. Hence, the statement that the constitution of India is neither rigid nor flexible, holds out.